The hidden forces affecting how we treat others, and how businesses are tackling them. 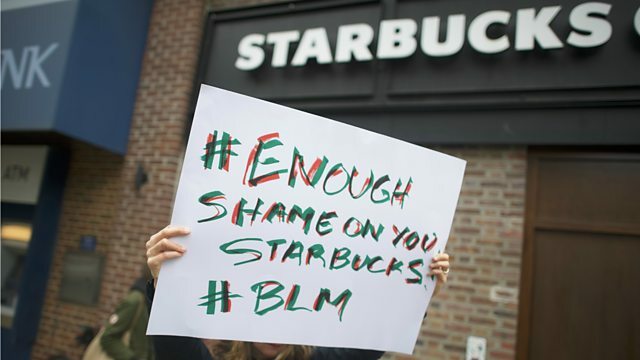 More than 8,000 US Starbucks branches closed for several hours one afternoon late last month to give almost 200,000 employees mandatory racial bias training. The move came after the firm had to apologise over the arrest of two black men who were waiting to meet someone in a Starbucks in Philadelphia. The training was designed to make staff more aware of their implicit, or unconscious, racial biases. And many more employees at other firms are taking part in similar sessions - we hear about the multi-million dollar training and consultancy industry that has sprung up around gender and racial bias. But will this training work? Joan Williams, professor of law at the University of California, works on website biasinterrupters.org, which advises business on how to correct implicit bias in the workplace. She says one-off training programmes won't be enough. Plus, Manuela Saragosa speaks to two entrepreneurs tackling bias in another way - Debbie Wosskow and Anna Jones, who set up The Allbright, a women-only private members club in the centre of London.